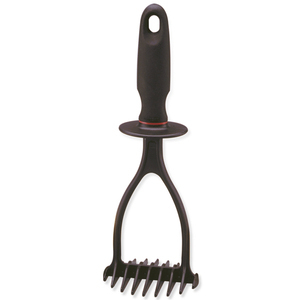 This Grip EZ Potato Masher is suitable for your favorite nonstick cookware. It features a ergonomically designed handle that fits perfectly for both right and left hand use. Heat resistant to 450F/230C and dishwasher safe. Measures 11"28 cm long. BPA Free.